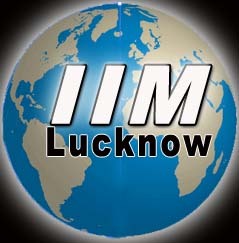 Indian Institute Of Management, Lucknow invites application for the post of 09 Lower Division Clerk, Assistant & Private Secretary . Apply before 30 Days From the Date Of Publication. For Lower Division Clerk : Bachelor’s degree in any discipline with minimum 50% of marks with proficiency in computer operation with minimum 35 w.p.m in English/30 w.p.m in Hindi typing on computer. For Assistant : Bachelor’s degree in any discipline with minimum 50% of marks and 3 years experience . For Private Secretary : Master’s degree in any discipline with minimum 50% marks. Interested candidates may apply in prescribed application form along with attested photocopies of certificates relating to educational qualifications, experience etc send To The Chief Administrative Officer, Indian Institute of Management Prabandh Nagar, Off Sitapur Road Lucknow – 226 013 on or before 30 Days From the Date Of Publication.